Our caring counselors believe in the value in every individual. We have been providing professional mental health therapy for people from Nebraska and surrounding states for over fifteen years. We provide a full spectrum of care, including individual counseling, child and adolescent counseling, couples and marital counseling, family counseling, EAP services, and Christian counseling. We have years of experience and training helping clients deal with all types of issues, including trauma, anxiety, grief, codependency, coping skills, sleep issues, insomnia, relationships, PTSD, workplace issues, stress, sexual abuse, and depression. ​We are here to help you and your family bridge the gap between problems and solutions. Our caring counselors have years of experience helping people and families work through life's difficulties. We work with you to establish helpful communication and trust in a comfortable and secure environment, where we can pinpoint cognitive, behavioral, and emotional roadblocks that prevent optimum well-being and functioning. We are here to help you! 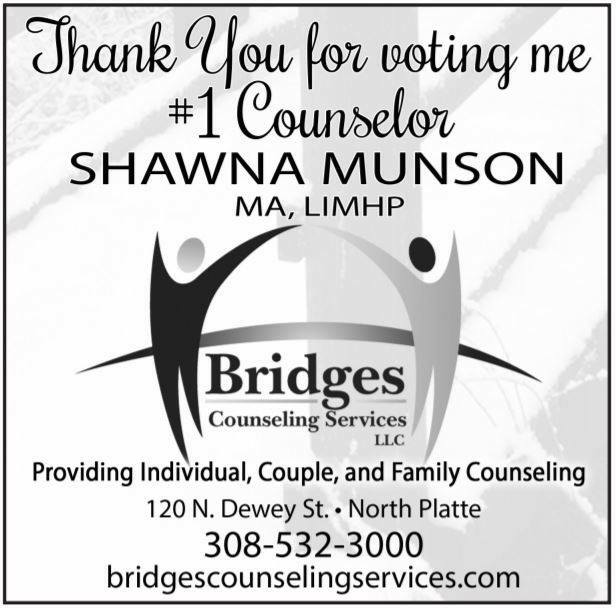 Thank you to our clients and partners for choosing Bridges Counseling in your votes for the Best Counselor for a fourth year in the North Platte Telegraph Reader's Choice Awards. Shawna earned her M.A. in Counseling from Chadron State College. She has been a licensed counselor since 2005 and has been the owner of Bridges Counseling for eight years. She is a member of theAmerican Counseling Associationand the American Association of Christian Counselors. She is trained in Trauma Focused Cognitive Behavioral Therapy (TF-CBT). Her specialties include adjustment, anxiety, depression, divorce recovery, grief/loss, marital and couples counseling, PTSD, self-worth, sleep issues and insomnia, trauma, and workplace issues. Heather earned her M.A. 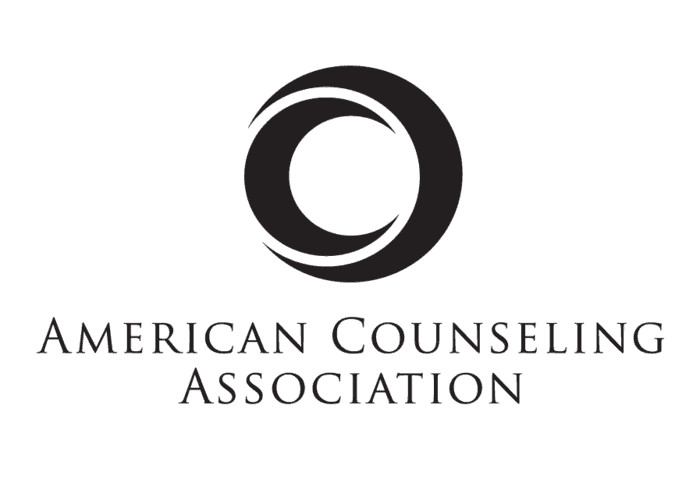 in Counseling from Chadron State College She has been a licensed counselor since 2016. 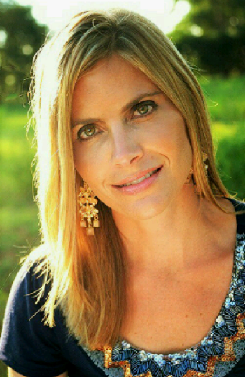 She is a member of the American Counseling Association and the American Association of Christian Counselors.Her specialties include adjustment, anxiety, blended families, children, depression, divorce recovery, grief/loss, marriage and couples counseling, parenting, PTSD, self-worth, and trauma. If we don't answer, please leave a message. Voicemails are only accessible by our licensed therapists. We will return your call. We accept cash, checks, and all major credit, debit, HSA, and FSA cards. ​We accept most insurances.